Sources say she is upset that much of her role has been transferred to Nikhil Alva, the son of Congress veteran Margaret Alva. Divya Spandana, credited with amping up the social media game of the Congress and its chief Rahul Gandhi ahead of several big elections, is reportedly upset with the party, which fueled speculation that she had stepped down as its social media head. The Congress firmly denied it but some leaders confirmed that her job profile has been downsized. The actress-politician has reportedly skipped recent events, including the party's leadership meeting in Wardha in Maharashtra to mark the birth anniversary of Mahatma Gandhi. This was the first Congress Working Committee meeting outside Delhi since 2013, and so was crucial as the party preps for the 2019 national polls. Seen as a complete straggler in the online perception battle compared to the BJP and tech-savvy Prime Minister Narendra Modi, the Congress saw its Twitter timeline sparkle after Divya Spandana took over as social media head in May 2017. The 36-year-old, also popular as "Ramya", hadn't been to work in some days, sources confirmed, a sure sign that all was not well. She was also reportedly incommunicado to most in her team. However, as reports of her leaving the team emerged, she called up senior leader Randeep Surjewala to inform him that she would be back at work soon. Sources say the former parliamentarian is especially upset that much of her role has been transferred to Nikhil Alva, the son of Congress veteran Margaret Alva. Nikhil Alva has been personally handling Rahul Gandhi's twitter handle, say sources. He denied taking on a key role while speaking to NDTV. 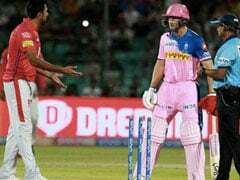 "I can't comment on rumours, I am abroad," Nikhil Alva said. Congress sources do confirm that the party president was not happy with Divya Spandana's recent tweets targeting Prime Minister Narendra Modi. One tweet using the word "chor (thief)" for the Prime Minister landed her in trouble, with the police in UP filing a sedition case against her. The tweet had a photoshopped image of PM Modi painting the word 'chor' (Hindi for thief) on the forehead of his wax statue. 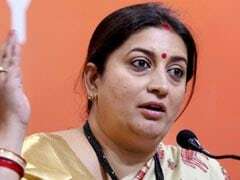 The party was also not happy with her tweet of a truncated video of PM Modi, which misled people about his educational qualifications. There are some in the Congress who felt that a line was crossed. Speculation was on fire as it was noticed that Divya Spandana's twitter bio missed her social media designation. It was back shortly afterwards, as if in reply to questions about her resignation.